The St. Louis Cardinals system scuffled to a 3-6 Wednesday. Player of the Day Franyel Casadilla spun seven scoreless innings on one hit, one walk and 10 strikeouts in State College’s road win. The DSL Cardinals Blue are nearing the organization’s first-ever division title. Recaps of games played on Wednesday, August 22. The Redbirds got on the board with two runs in the top of the first inning, but the Baby Cakes went on to score four unanswered runs and win Wednesday’s game by a 4-2 score. Memphis has dropped four straight. 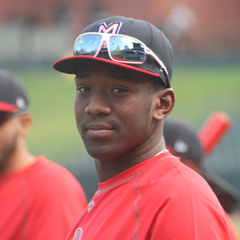 Memphis left fielder Justin Williams smacked a two-run home run in the opening frame, his third long ball with the Redbirds. First baseman Ramon Urias, who was 2-for-4, scored on Williams’ homer. Third baseman Edmundo Sosa doubled twice and is up to 12 for Memphis. Starter Jake Woodford allowed four runs over his five innings. Woodford walked four batters and dropped to 4-4 with the loss. Relievers John Brebbia, Tommy Layne and Edward Mujica each pitched a scoreless inning. Thursday’s game: Chris Ellis (5-4, 4.37) at New Orleans Baby Cakes, 7:00 PM Central time. Though the Cardinals had more hits, the Naturals came out on top of the column that matters, as they enjoyed a 3-2 win on Wednesday. In his second rehab outing for Springfield and fourth overall, Adam Wainwright turned in three scoreless innings with three strikeouts. Wainwright limited the Naturals to two singles and did not issue a walk, needing only 44 pitches (29 strikes) to get through his start. Casey Meisner followed with four innings of two-run ball. Meisner fanned seven. The Naturals scored a run against starter-turned-reliever Connor Jones in the bottom of the eighth inning to hand him his fifth loss of the season and drop his record to 5-5. Cardinals second baseman Andy Young went 2-for-5 with his ninth home run since reaching Double-A; the long ball led off the game. Center fielder Chase Pinder was 3-for-3, and right fielder Blake Drake had two base hits. Third baseman Evan Mendoza and left fielder Victor Roache each fanned three times as the Cardinals combined to leave eight runners on base. Thursday’s game: Evan Kruczynski (2-1, 0.43) at Northwest Arkansas Naturals, 7:05 PM Central time. The Miracle pounded out 16 hits on Wednesday and rolled to a 6-1 win over the Cardinals at Roger Dean. Cardinals starter Alex Fagalde surrendered four earned runs on 11 hits (including three doubles) in his five innings. Fagalde dropped to 4-1, as he took the loss. Ramon Santos worked 2/3 of an inning before Yeison Medina turned in 2 1/3 frames, and Mike O’Reilly logged a scoreless ninth. Cardinals second baseman Irving Lopez went 2-for-4 including a solo home run in the bottom of the seventh inning, his second home run for Palm Beach. 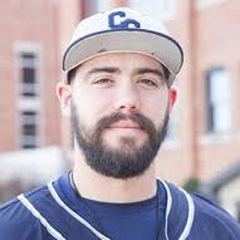 Left fielder Conner Capel was 2-for-4, and first baseman Stefan Trosclair and designated hitter Ryan McCarvel each doubled. Palm Beach was just 1-for-6 with runners in scoring position. Thursday’s game: TBA vs. Fort Myers Miracle, 5:30 PM Central time. The Cougars rode a six-run third inning to a 9-6 victory over the visiting Chiefs on Wednesday. 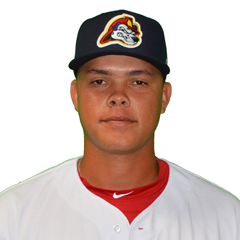 Chiefs starter Angel Rondon dropped to 3-2 after he allowed eight runs (seven earned) in four innings. Rondon was on the hook for Kane County’s six runs in the third inning, a frame that included a hit batter, a throwing error, two walks, and two home runs. C.J. Saylor was sharp in relief, as he logged three clean innings with six strikeouts. Thomas St. Clair pitched the eighth inning and allowed the Cougars’ last tally. 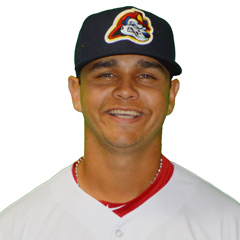 Julio Rodriguez, Peoria’s designated hitter, hit pair of doubles and drove in four. Shortstop Wood Myers scored twice, and center fielder Brandon Riley and second baseman Nick Dunn had two hits apiece. The Chiefs stranded six runners and combined for 10 strikeouts, including four by catcher Dennis Ortega. Thursday’s game: Jake Dahlberg (3-1, 2.42) at Kane County Cougars, 6:30 PM Central time. With four runs in the top of the ninth to seal the deal, the Spikes were 6-1 winners over the Crosscutters in Williamsport. Surging State College has won 13 of its last 15 games to even its season record at 32-32. Every batter in the Spikes’ lineup had a hit. Designated hitter Stanley Espinal was 2-for-4, and third baseman Edwin Figuera had three base hits. Espinal and Figuera each scored twice, and first baseman Brady Whalen drove in two. Though they struck out a dozen times, the Spikes went 4-for-12 with runners in scoring position. State College starter Franyel Casadilla is our Player of the Day. Casadilla dazzled in his seven scoreless innings, as he held the Crosscutters to one base hit and one walk with 10 punchouts. The latter tied the team record. Casadilla picked up the win to improve to 4-1. Edgar Gonzalez worked the last two innings (allowing a run in the eighth) and notched his first professional save. Thursday’s game: Eli Kraus (2-1, 2.39) vs. Auburn Doubledays, 6:05 PM Central time. With five crooked-number innings – including three with greater than two runs – the Royals stormed to an 18-8 win over the visiting Cardinals. The Johnson City defense committed five errors, contributing to the Royals’ seven unearned runs. 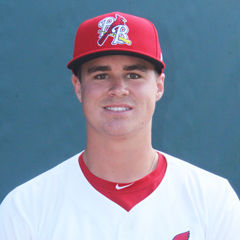 Cardinals starter Kyle Leahy dropped to 3-3 on the season as he allowed 13 runs (seven earned) in 4 1/3 innings. Reliever Enrique Perez fanned five batters in 2 2/3 frames before Jacob Sylvester worked the final two innings and was smacked for four earned runs. The Royals were 10-for-21 with runners in scoring position. Johnson City had a solid evening at the plate, despite losing by 10 runs. Designated hitter Andrew Warner, second baseman Donivan Williams, and third baseman Liam Sabino each scored twice. Warner and right fielder Sanel Rosendo were 3-for-4, and left fielder Luis Cedeno hit his 12th home run of the season. Thursday’s game: Colin Schmid (2-2, 5.36) vs. Burlington Royals, 6:00 PM Central time. The division-winning Gulf Coast League Cardinals were off Wednesday and will continue play on Thursday. At 10:00 AM Central time, the Cardinals will host the Astros. In the first game of Wednesday’s doubleheader, the Brewers shut out the Cardinals Red by a 9-0 final score. The Cardinals totaled just three hits, two off the bat of second baseman Erik Pena. Right fielder Luis Montano doubled and walked, and shortstop Franklin Soto drew a walk and was hit by a pitch to account for the team’s entire offensive activity. The Cardinals stranded five runners. On the mound, Cardinals starter Ludwin Jimenez allowed three runs over four innings. With the loss, Jimenez’s record dropped to 4-4 on the season. In one inning each, relievers Gabriel Contreras and Augusto Calderon allowed three runs apiece. The Cardinals Red smashed their way to a 10-7 victory over the Brewers in the second game of Wednesday’s doubleheader. The whole batting order worked together to produce 10 runs. Third baseman Francisco Hernandez was 3-for-4 with two runs batted in, and left fielder Erik Pena and first baseman Yowelfy Rosario each drove in three. Pena hit his third triple of the season, and Rosario clubbed his third home run. Hernandez, Pena, catcher Cristhian Longa, and right fielder Luis Montano all scored a pair of runs. The Cardinals combined to go 7-for-11 with runners in scoring position. 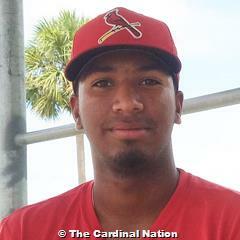 Cardinals starter Allinson Benitez allowed five runs over his five-inning outing but was supported by a hearty offense. Benitez was credited with his second win in four decisions. Ronald Suarez gave up two runs in the seventh inning, and Jhon Victorino recorded the final two outs to notch his first professional save. Next game: vs DSL Cubs 2, 9:30 AM Central time on Friday. With just enough offense in their favor, the Cardinals Blue enjoyed a 3-2 win over the Rockies. The 49-20 Blue hold a one-game division lead with three contests remaining. Cardinals second baseman Sander Mora went 2-for-3 with a double, a stolen base, and two runs scored. First baseman Freddy De Jesus, center fielder Adanson Cruz, and designated hitter Malcom Nunez each batted in a run. Right fielder Darlin Moquete scored the Cardinals’ other run. Starter Inohan Paniagua worked 4 2/3 innings and held the Rockies to one run while striking out six. Reliever Victor Villanueva worked 2 1/3 frames and earned his first win as a pro. Saniel Santana logged two scoreless innings to earn his second save. Thursday’s game: at DSL Rockies, 9:30 AM Central time.